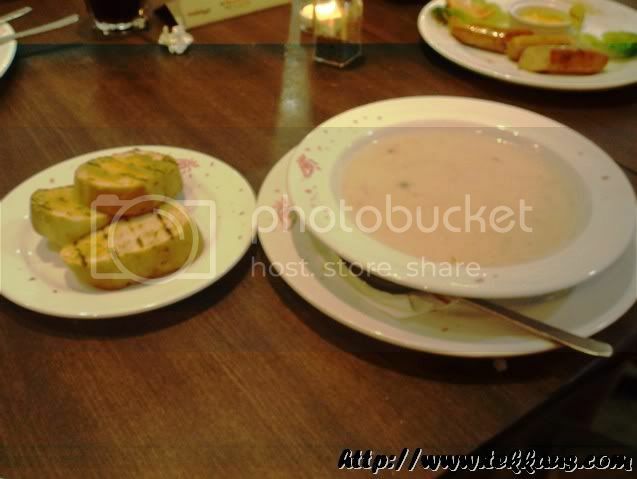 Food Review Taste Buds Peri-fying Earth Hour Dinner At Nandos! 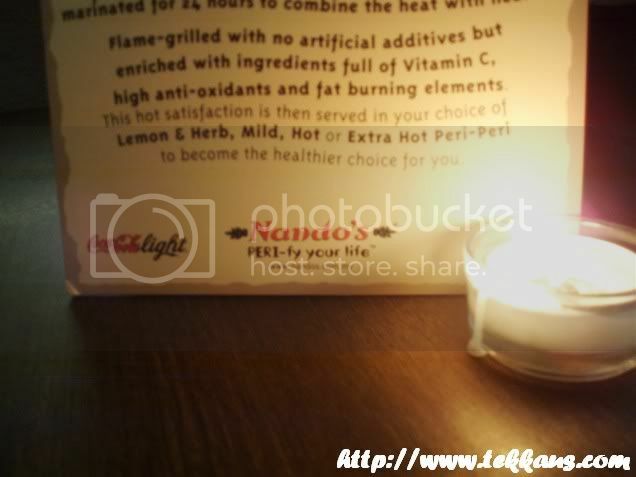 Peri-fying Earth Hour Dinner At Nandos! What did you do last night for your Earth Hour? Did you switch off all the lights and had a candlelight dinner? Or it was you, served as dinner for the mosquitoes? I am sure all of us (except TNB) did what we could for mother earth right? As for me and my dearest wife, both of us decided to switch off all the lights and unnecessary appliances at home and hit the road. We stopped at Mahkota Parade and see what we should have for our dinner. I was impressed to see that quite a number of shop lots actually switched off their lamps. My wife and I scoured the whole shopping complex to hunt for our dinner! Yeah! I peri-fy our lives yesterday! In the end, we chose Nandos. Why? I don't know, perhaps it was so dimly-lit that we thought it was fitting for the earth hour moment. 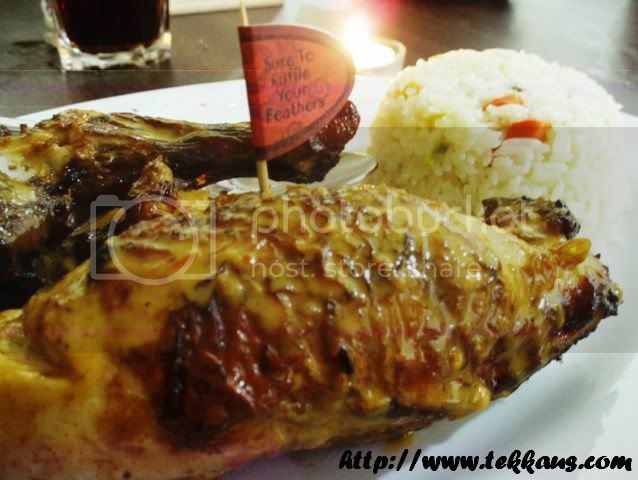 :) Moreover it's been more than a year since my missus and I had some peri-peri chicken. The menu came and we picked 3 different dishes to gratify our palates. 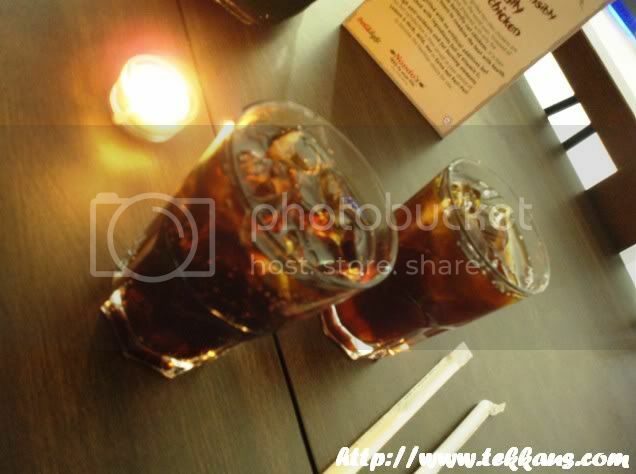 As for beverage, I had bottomless coke and my wife had bottomless iced lemon tea. Why bottomless? Well...because all our dishes would be in extra hot peri-peri flavour! Really! We dined at Nandos! 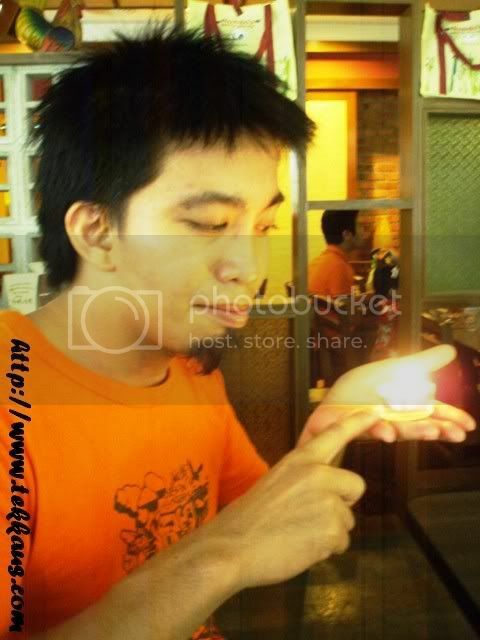 This candle lighten up our dinner. We waited and waited and waited...and finally the waiter came. Yay! He came and...tell us that we had to WAIT another 15 minutes because they ran out of gas! Seriously it happened but wifey and I had no qualms about waiting for another 15 minutes. 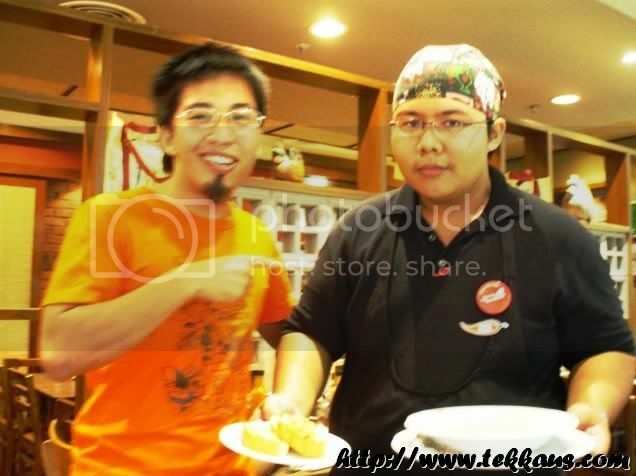 I took out the camera and toyed around with it while waiting for our peri-peri dish! HUGE! This is my portion. My feathers were ruffled alright! 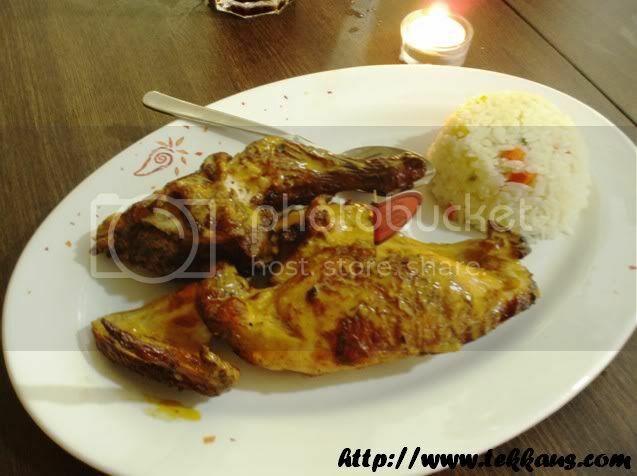 Then came our Peri Starter Pack. What a name for a dish huh! So what's in this starter pack? 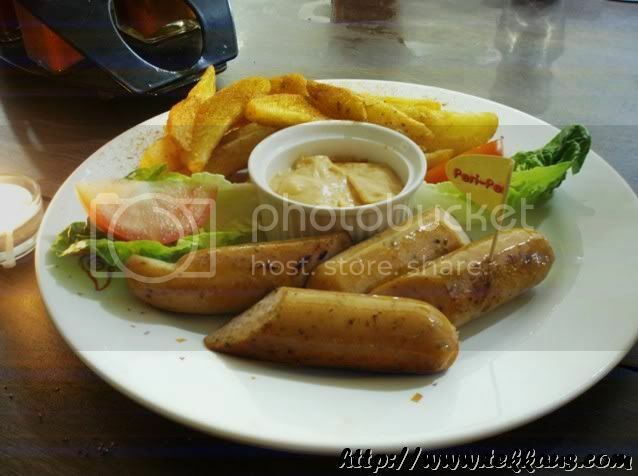 There were Peri wedges sprinkled with spicy pepper and the tender, juicy grilled chicken sausages. The wedges were so hot and so delicious whilst the sausages were very flavorful! I savored every bite of them! We took one and a half hour to gobble everything up. Buuurrpppp. After that me and my wife had some difficulty trying to unseat ourselves. 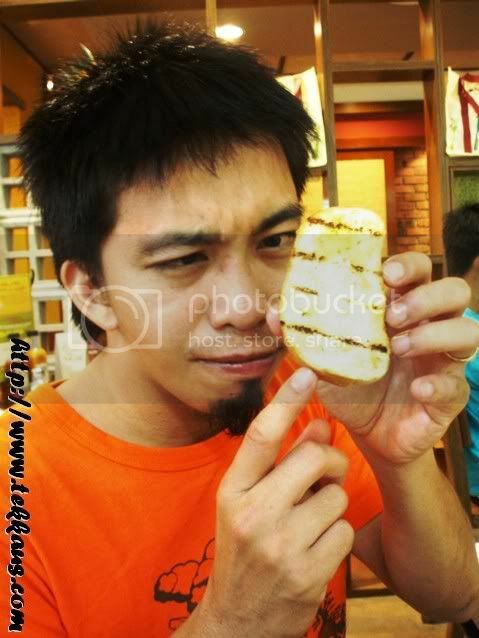 We were not that mobile already, must be those peri-peri chicken. Ha :D We really enjoyed ourselves. 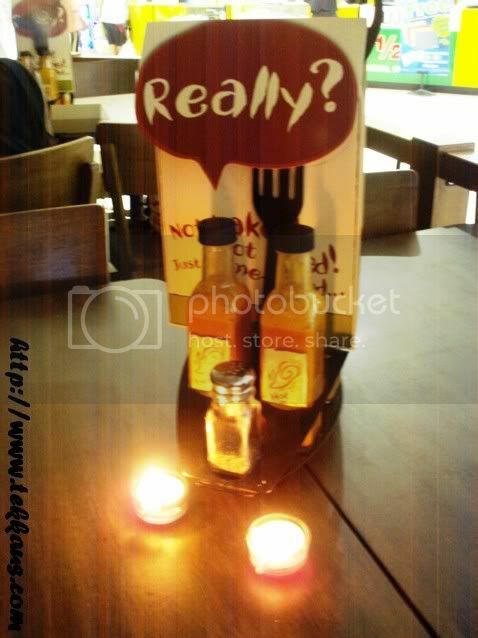 A truly peri-fying earth hour dinner for both of us at Nandos. So how about you guys?